(Nov. 21, 2012) -- Since its 2005 debut, Cyber Monday, which follows Thanksgiving weekend, has quickly become the biggest online shopping day of the year. It's also a significant day for identity theft and related cybercrimes. 1. Look before you click: Clicking is easy. Un-clicking? Not so much. When you hover over a link on a webpage, before clicking, the address you will actually connect to shows up in the bottommost line of the browser. Look. If it does not appear to be the site you intend to visit, find the site through search engines or other means. (IPad users should refrain from tapping. Instead, ""touch and hold." This brings up a window that shows the real address.) This is especially important for links that arrive in email. Phony links in fraudulent emails ("phishing") are the greatest threat to your cyber safety this holiday season. 2. Safe site? Double check: Always look at the address in your browser top line. Make sure the link says "https" for any site on which financial transactions occur. Also look for the lock icon in the address bar. These visual cues indicate that the session is encrypted, safe from eavesdropping. 4. Be unique: When you register on a site, use a unique password. Password manager applications such as KeePass, LastPass or PasswordSafe can assist with managing passwords. 5. Nobody's business but your own: Don't let a site store your credit card information, if given the option. The fewer places your data is stored, the less chance for unauthorized disclosure. 6. Too much information: Sharing details of purchases on social media may be fun, but visibility means targeting by fraudsters, thieves and "social engineers." 7. Double check: Review all forms for check boxes selected by default. You can be "opting in" for spam or services of which you are not even aware. 8. Trust but verify: Review transactions at your financial institution regularly for unusual charges. This not only helps you catch fraud early, it also assures there were no errors on the side of the online merchant. 9. Cyber hygiene is critical to safety: Keep your computer up to date. It is vital to install patches and update security fixes when software companies recommend, no matter how busy you are at the time. 10. En garde! : Beware of deals that look too good to be true. They probably are. The UTSA Center for Infrastructure Assurance and Security (CIAS) is the world's foremost center for multidisciplinary education and development of operational capabilities for infrastructure assurance and security. 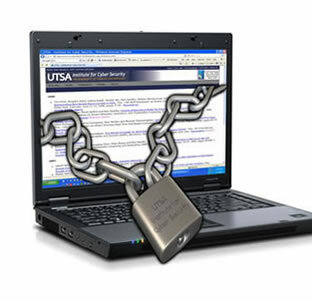 The CIAS was established as part of UTSA in 2001 and has developed and delivered cyber security training, exercise programs and competitions for the past decade. It is a nationally recognized leader in the advancement of state and community cyber security capabilities and collaboration.